St. Maarten – Wednesday, February 22, 2017: Playing Lucky Pick is a regular part of Rudolf Nijbroek's routine. He has won before, but never in his wildest dream did he expect that his purchase of a ticket with the numbers 09 12 13 16 and 22 for the draw on Thursday, February 16, would land him in the mega winners' circle. 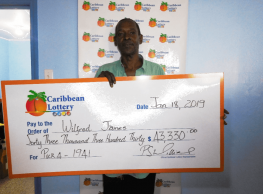 Nijbroek won a whopping US$40,008 when he hit the Lucky Pick, Super Lotto jackpot. 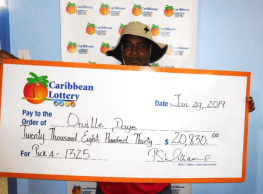 After claiming his prize from Caribbean Lottery, the 51-year-old simply said he felt “fantastic and excited” about his winning. 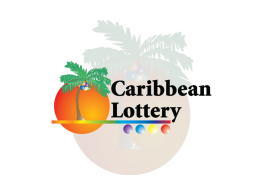 While attending the offices of Caribbean Lottery and confirming his victory with team members, Nijbroek was still in shock and said he was “taking it all in” as the moment felt so surreal. “The winnings obtained from winning the Lucky Pick jackpot, will help with my kids college education,” the father of two said. 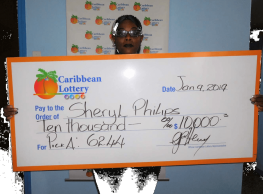 This is not the first Nijbroek, who likes to play the Lucky Pick, Super Lotto, P3 and P4, has won a Caribbean Lottery game. 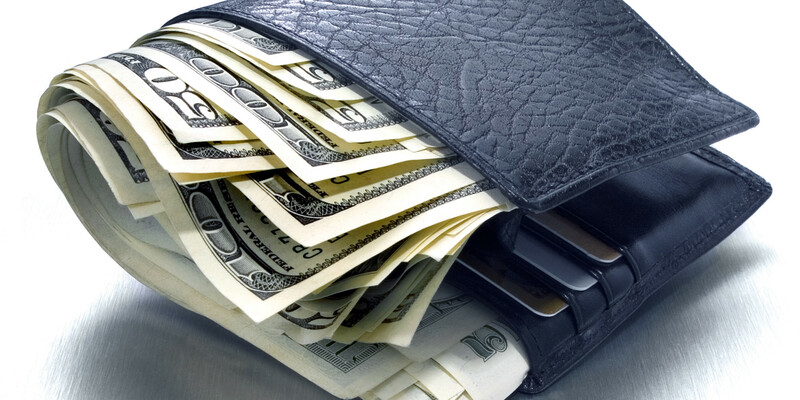 He previously won $1,000 with an Instant Scratch Ticket. The winning ticket was purchased at Over Value Store. For 2017 and beyond, Nijbroek, who does not always play the same numbers and uses the quick pick format, says he will remain loyal to playing Caribbean Lottery games. Lucky Pick is played daily and the live draw is aired at 8:00 pm each night.